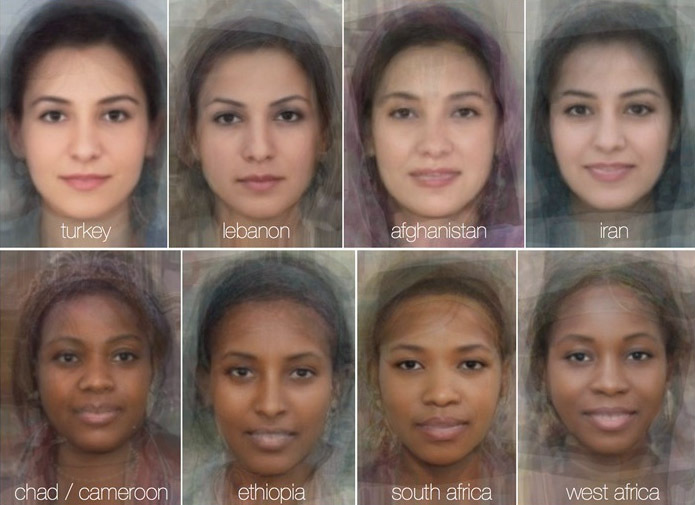 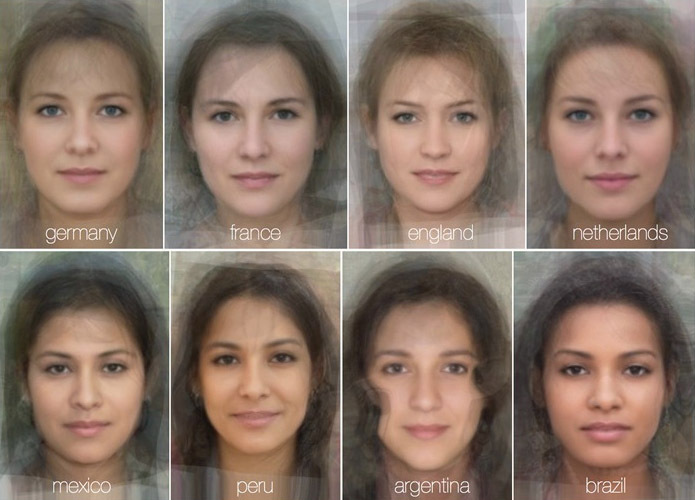 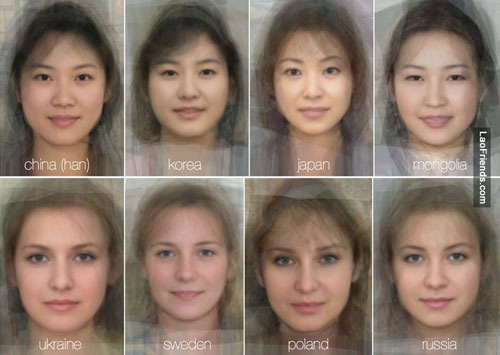 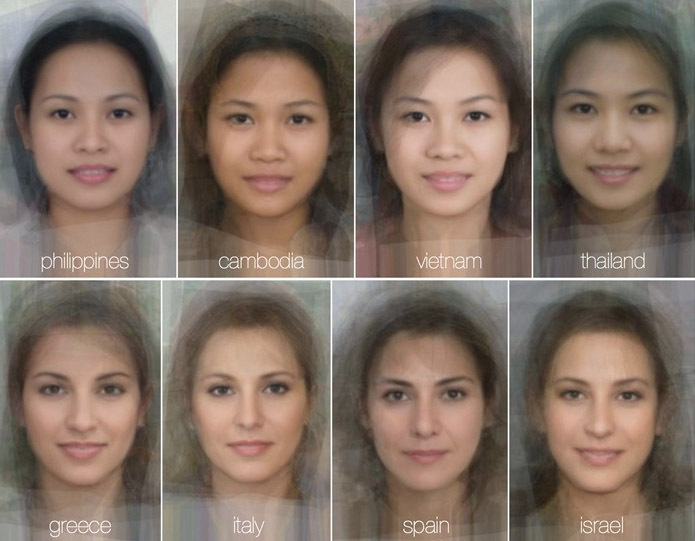 In a recent study, researchers from the Scottish University blended and aligned thousands of photos of women from 40 different countries to calculate the "average" face for each nation. 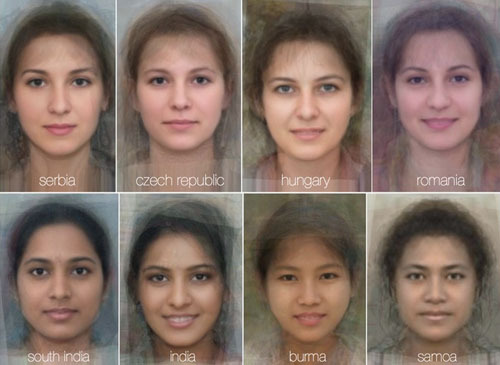 The resulted images are surprisingly beautiful, as aligning and blending numerous images the most part of imperfections is inevitably removed. Truth be told the study used pictures of young women, that's why the final images portray some well-above-the-average beauties. The interesting thing about this study is that looking through the different photos you can really distinguish all the physiognomic peculiarities that make each population different from the other.